Television commenced in the year 1966 throughout Greece and this was preceded in 1951 by statue 1663 permitting television broadcasting. Mega Channel (also known as Mega TV or Mega), is one of the major television networks in Greece. Teletypos S.A was launched in 1989 under the name Teletypos Television Programmes S.A and the trade name MEGA CHANNEL. It was the first private television stated that started broadcasting on air at Nov 20, 1989 in the country. The programming of MEGA contains Greek programs including dramas, current affairs, comedies, news as well as entertainment shows. The Mega Channel has crossed its main rival known as ANT1 in recent years as the most notable and popular channel in Greece, mainly because of hit shows like 50-50, Sto Para Pente and Savvatogennimenes. The online live TV is strongly encouraged in the country. The Mega Channel studios are situated on Mesogeion Avenue in Athens. It was located in the town of Paiania, Attiki in the past. 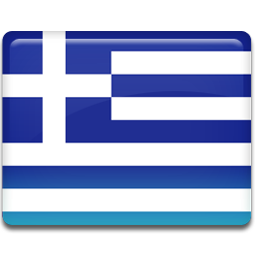 •	Mega Gegonota (Mega News) – Daily newscast in Greek showing news from Greece and throughout the world. •	Mega Savvatokiriako (Mega Weekend) – Morning show for the weekend. It shows news, current affairs, sports highlights, news and more. It is hosted by ?anolis Anagnostakis and Iordanis Hasapopoulou. •	Protagonistes (Stars) – A documentary based show including various strange stories about the lives and biographical portraits of people, hosted by Stavros Theodorakis. •	Kato Partali is a comedy series in its first season. •	Klemmena Oneira (Stolen Dreams) is a soap opera in its 3rd season that replaced Ta Mistika Tis Edem. •	Me Ta Pantelonia Kato (With the pants down) is a family comedy series in its 2nd season. •	Drop Dead Diva is a foreign American comedy program. •	Hatfields & McCoys is a foreign American Miniseries.